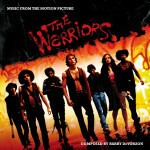 The Warriors soundtrack was originally released shortly after the movie and featured 10 tracks which include some of the key pieces of music from the film score as well as tracks that are heard in the movie (including some songs which are only very briefly heard). The play time of these ten tracks is 37:03. 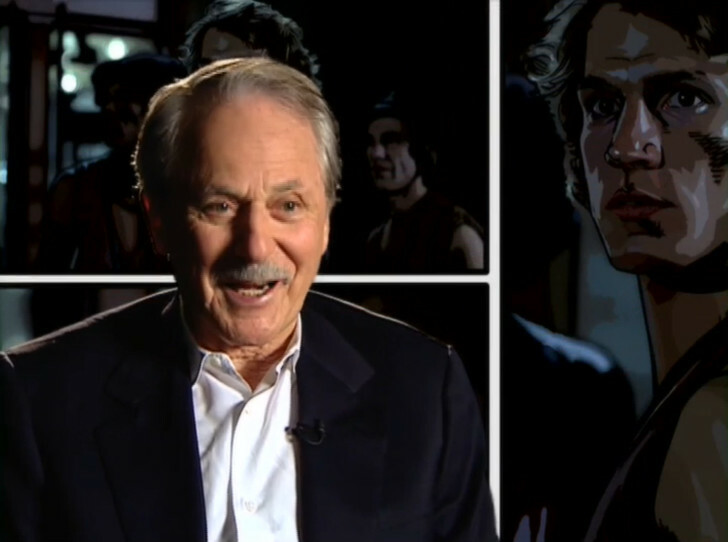 Walter Hill asked Barry de Vorzon to create a soundtrack that would help move the film along. Synthesisers were relatively new at the time but De Vorzon used them over a rock ’n’ roll sound to create the iconic score for the movie – believed to be the first rock ’n’ roll soundtrack with a synthesiser. In 2013, La-La Land Records released a remastered and expanded edition of the soundtrack which featured a remastered version of the original A&M soundtrack and an additional 11 tracks containing further pieces of the original movie score by Barry de Vorzon. The play time of these additional 11 tracks is 30:36. This score includes the full and unedited versions of the tracks featured on the original soundtrack, additional tracks that did not make it on to the original soundtrack (such as the opening credits music before the main theme tune and the music featured in fight with The Punks and the music played when The Warriors arrive on the subway train back in Coney Island). What’s more, the album also includes additional tracks from the movie’s score that were cut from the movie including some interesting upbeat tracks and some more sombre reflective tunes featuring saxophone. There are also a few alternate versions of the movie score which are reworkings that ultimately did not curry favour and were dropped for those that were used in the movie. Walter Hill purportedly wanted a rock & roll soundtrack to this movie which explains the sound of some of the alternate tracks. The tracks are presented here in stereo and were sourced from a set of ½” reels containing the various guitar and synth tracks. You can preview and stream the album from Apple Music, or buy the album on iTunes or through the widget below. You can also pick up a copy of the original soundtrack here and the special edition soundtrack can be purchased here which features all the tracks. As the title suggests this is the main theme for the movie that plays at the start of the movie. The track also features a clip of Masai saying “Who are The Warriors? I want all those Warriors. Send the Word!” at the end of the track over noise of the crowd at the conclave. This is then followed by the gunshot that kills Cyrus. You can play a sample of this track below. This is the song that the DJ plays on the radio after The Warriors are accused of killing Cyrus. As the song plays The Warriors can be seen running from the conclave evading the other gangs in the city who are all coming out to look for them. The track ends right at the point where The Warriors are hiding from the Turnbull A.C.’s. Producers wanted to use the original track by Martha and the Vandellas but were unable to secure the license so used this cover version by Arnold McCuller instead. This song is heard very quietly in the background on the radio when The Rogues visit the candy store. The track starts with the sound of The Rogue’s car pulling up outside the candy store. This track can be briefly heard in the background of the radio studio when the DJ is telling her listeners that The Riffs have sent the word to hunt down The Warriors. She then plays Nowhere to Run. This track can be heard during the fight scene in the bathroom with The Punks as well as during part of the fight scene with The Baseball Furies. At the start of the track, the DJ can be heard saying “The Baseball Furies dropped the ball, made an error. Our friends are on second base and are trying to make it all the way home”. 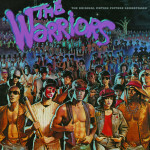 In The City is perhaps one of the most recognisable and loved songs from the soundtrack and is played by the DJ at the end of the movie and over the end credits dedicated to The Warriors for having “such a hard time getting home last night”. The track starts with the sound of a subway train stopping in the station symbolising the point when The Warriors arrive back at Coney Island. In the City was written for the movie by Barry De Vorzon and Joe Walsh, who were friends. Whilst it was different to the score it was still rock ’n’ roll. It was later recorded by The Eagles of which Joe Walsh was a band member. This song is played on the jukebox in the apartment of The Lizzies and is playing before, during and after the fight with The Warriors. As you might expect, this track can be heard during the chase scene when The Baseball Furies pursue The Warriors through the streets of New York into the park. The track is essentially a reworked version of the movie’s theme as Barry de Vorzon had not written any music for this fight. However, producers felt that music was needed to make the fight seem less violent. This song is also playing on the jukebox in the Lizzies’ apartment and can be heard after The Warriors arrive and are seen chilling out. This song is very briefly heard in the radio studio right before the DJ tells her listeners that The Warriors have gotten past “one of the minor league teams” (The Orphans). At the start of the track a clip of Luther clinking the glass bottles chanting “Warriors, come out to play” can be heard. Despite this song only featuring very briefly it contains lyrics that reference The Warriors. The following tracks only appear on the special edition soundtrack and complete the movie score by Barry de Vorzon. Prior to the launch of the special edition soundtrack this was one of the most often requested tracks from the movie. This is the track that is heard at the very start of the movie as the Wonder Wheel can be seen spinning in the background, and the movie’s opening credits and logo are shown on screen up to the point that Cleon addresses the rest of the gang. This then progresses on to an extended version of the familiar theme tune from the original soundtrack that plays as The Warriors are seen on the subway making their way to The Bronx. This is a very interesting track as it did not make it in to the movie and includes a short catchy rhythm section lasting about 40 seconds. Given the name of the track, this was perhaps going to be used when The Warriors made it to the graveyard after escaping the conclave. It does sound mildly upbeat which is perhaps why it was never used. The second half of the track did make it into the movie and is the score that can be heard when Masai descends the elevator in to the Riffs’ hangout. Not to be confued with the song Night Run that originally featured in some early versions of the movie in the place of Nowhere to Run. This track sounds like chase music with elements of a police siren. It’s listed as being a track that was featured in the movie but I am having a hard time trying to locate where so this may be incorrect. The first part of this track features an alternate version of the upbeat, groovy, Graveyard track which corresponds to The Orphans. The next piece is the soundtrack that plays as The Warriors watch the Turnbull AC’s pass them by in the bus under the subway station. The third part of the track is an alternate version of the second part of the Graveyard track that plays in The Riffs hideout and is called Riff Boss. Turnbull A.C.’s Pt. 2 is another piece of the score from the conflict with The Turnbull AC’s. The fifth part of the track is called Molotov Cocktail so presumably is the score that was to be used during the molotov cocktail scene with The Orphans. This is an extended version of the first part of the Graveyard track and I don’t think it made it into the movie despite the sountrack saying it did. This is a bizarre track that did not make it into the film. It starts off with a sci-fi sounding alien electronic noise followed by a repetitive two-tone (high-low) element. The first part was going to be used during the conclave scene with the latter part of the track presumably to be used in the scene with Swan and Mercy walking in the subway. This is the complete unedited score for the entire scene with The Baseball Furies featuring the chase and the fight. This track was not used in the movie and might relate to the scene where Swan and Mercy evade the cops by running in to the subway tunnel. The first part of this track is the very distinctive eerie soundtrack played when Swan is walking through the subway station pursued by the leader of The Punks on his rollerskates. The track continues with the eerie sound and is the score featured during the fight scene with The Warriors and The Punks in the men’s room. Part one of this track features in the scene when the informant comes forward with information on who really shot Cyrus. The second part of the track is the score that plays when The Warriors arrive back into Coney Island on the subway train the following morning. The final part of the track plays when The Warriors are evading The Rogues on Coney Island and are gathering their weapons ready to fight them on the beach. The final track of the original score features an alternate version of the score that plays when The Warriors arrive back in to Coney Island on the subway train. It features a saxophone and would have completely changed the mood of the film. It sounds sad and reflective. The latter half of the track is an alternative version of the track that would have played when The Warriors were getting ready to fight The Rogues and perhaps sounds too upbeat. It also features some blasts of sax. The track ends with the clinking of Luther’s bottles which is a nice way to end the album. The trailer (preview) for The Warriors features a track called Betrayal (Sorcerer Theme) by Tangerine Dream. In the deleted scene set in daytime Coney Island, The Warriors march off down the boardwalk to the subway. The music is Rumble by Link Wray and was used in Pulp Fiction. Night Run is listed in the movie credits but does not appear on the soundtrack. It is performed by the Mersh Brothers and is composed and arranged by Philip Marshall. This song can be heard in the radio studio in the movie. This song can apparently be heard in certain VHS versions of the movie in the place of Nowhere to Run but it is not clear who sings it, what the track is called or why it is in certain versions of the movie.